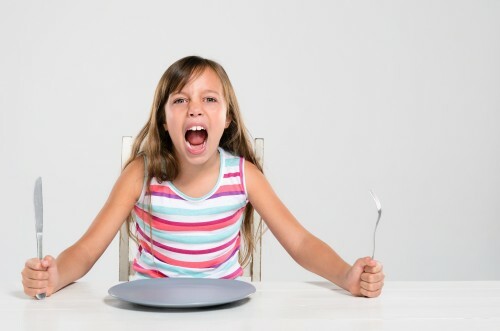 Your eating disorder might feel like a tyrannical dictator, telling you what to eat, what not to eat, pushing you to give in to obsessive cravings, pushing you to purge, pushing you to starve or restrict, but for many people, that voice is actually a scared little girl (or boy) living inside of you, dressed in adult clothing, trying desperately to get their needs met. Often, in eating disorders, there is a child inside of you who didn’t get his or her needs met when they were little, perhaps she or he was ignored, or yelled at or abused, perhaps kids at school were mean to him or her, or perhaps she or he was part of a very large family where it was hard to get the attention he or she craved. What did you desperately need, that you didn’t receive enough of when you were a child? What helped you then? Was it food? Did you ever use food to make yourself feel better when you were lonely or picked on or ignored? Or did you get attention for not eating? Did you get attention for being the best athlete or the skinniest? Did putting on weight give you attention? Did your parents give you food to keep you happy when you weren’t getting enough attention from them or when they didn’t have time to give you what you what you needed? This can be variable for everyone. But the most important thing is to think about that child who still lives inside of you and desperately needs something from you. Now think about what you would actually give a child who was needy right now. Would you give her a piece of cake if she was sad? Would you tell him to shut up and toughen up and stop crying? Would you sit with her and hold her and give her the attention that she needs? Try to give your child self what he needs. Try to send some compassion to the part of you that feels very angry and mean, but is just trying desperately to get her needs met. Think about what you needed as a child but you didn’t get. How can you give it to yourself? 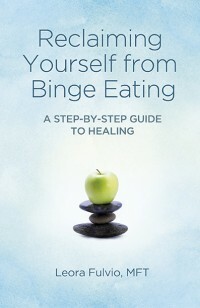 One of the easiest exercises that you can you do to help you let go of binge eating is practicing mindful eating. The first step in eating mindfully is to slow down. When you serve yourself a meal, don’t pick or snack until you are sitting down with your plate in front of you. Then, when you go to eat, pay attention to your food. Don’t eat in front of the TV or internet, notice each bite. Notice what it feels like on your tongue, notice what it tastes like, notice what it feels like to chew and to swallow. Pause between bites and allow yourself to enjoy what you are eating in the moment that you are eating it. When you are binge eating, you’re chasing the taste so you barely get a chance to enjoy what you are eating in the time that you are eating it and it becomes a race to finish one food and get to the next. Today, plan just one meal that you can eat mindfully. When you eat it, slow way down. Taste and savor your food — no matter whether it’s romaine lettuce or a piece of dark chocolate. Allow your body to integrate the nutrition into your cells. You might find that when you slow down, you become more conscious of your needs and you might even find that you need less food or more food. As you begin to slow down your meals, you might find that you can even slow down your binges, when you do that, you might find that you are able to make the choice not to binge, that mindfulness and thoughtfulness will win out over the compulsion. slow. slow. slow. That’s the word of the day when it comes to mindful eating. Slow down and let your body make the choice rather than the binge. You might want to try this guided visualization to help you learn mindful eating. Watching someone that you love being active in their eating disorder is devastating. It’s so painful to watch your mother, sister, wife or girlfriend (or husband, father, brother or son) either restrict their food, or binge on foods that are unhealthy for them, or to know that they’re purging in the bathroom after they’ve eaten. It’s painful and upsetting and scary. You might find yourself becoming very angry at the person whom you love when you see them taking such poor care of themselves. It’s important to find compassion for the person who has the eating disorder when you choose to talk to them about it. 1. )Although you might feel angry, please try to understand that this is a serious problem that she/he has. They would certainly stop if they could. Really contact your own feelings of fear rather than anger in order to get a conversation going. 3. )Don’t try to fix the person. Don’t try to take food away from them or force food on them. Don’t refuse to eat if they’re not eating. Don’t make comments about what they are or are not eating. 4. )Don’t be afraid to talk openly and honestly about how their eating is affecting you. 5. )Remember that this is a very hard topic and the person who you confront will most likely feel embarrassed and ashamed. You don’t want to shame them into recovery. In fact, this can often backfire. Let them know how much you love them and want to be there for them and you’re not going to let them go through this alone. 6. )Understand that recovery takes time, don’t expect them to see a therapist once and then all of a sudden to be cured. Be patient and if you can, try to be an active participant in their recovery. 7. )If this person is completely unreceptive to you, don’t push or get angry. Get help for yourself. You need support when you love someone with an active eating disorder. You might want to check out Al-anon or Codependents Anonymous or seek therapy or a support group for family members of people with EDs. 8. )Even though you might feel angry and frustrated (that’s so normal) don’t give up on someone you love. Let them know that you love them and you will be there for them when they are ready. Recovery from eating disorders is hard. But watching someone struggle is downright painful. You feel helpless and scared and depressed. Please try to get love and support for yourself as well.